Clean Eating While Fine Dining? Yes, You Can. Clean-eating fine dining? It may be perceived as an oxymoron, but Frunatic is set to turn sceptics into believers. Founded more than five years ago, Frunatic is a labour of love by affable owner Jason Fong (who hails from the finance industry), inspired by the teachings of his Taichi master. He’s putting his money where his mouth is, having invested a substantial amount to develop this food philosophy of using nutrition to help maintain, restore and improve the health aspirations of all individuals, with the help of research from an in-house team of wellness professionals that include a nutritionist, dietitian and naturopathic doctor. 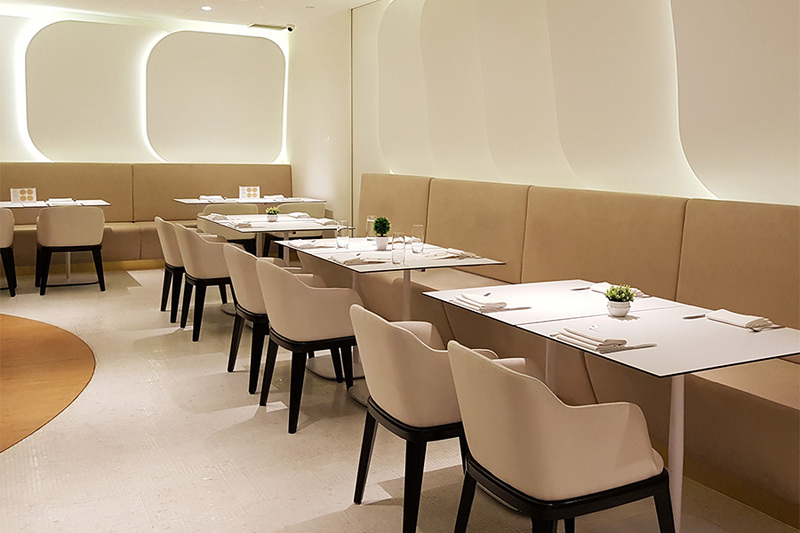 Aptly located in the basement of upscale Palais Renaissance in Orchard Road, the 30-seater restaurant boasts a stark and minimalistic white and beige décor, coming across perhaps a little too clinical. Adjacent to the dining area is a treatment room where clients are diagnosed by a nutritionist for any wellness deficiencies and then prescribed with a series of personalised meals from over 40 different therapeutic menus. We were recommended two Omakase menus — “Longevity & Calming” for the gentleman and “Detoxifying & Beautifying” for the ladies. Both features natural foods and beverages without dairy, gluten, trans-fat, additives, cholesterol or preservatives, and are boosted with nutrient-rich superfoods and TCM healing herbs. Here’s a snapshot of some of the courses: an aesthetically plated appetiser of Citrus Salad with Sesame Clusters came with a stack of tomatoes, lettuce and avocado drizzled with a zesty orange dressing, and a nutty Turkish Delight of pistachios, Medjol dates, activated cashews and cardamom powder — this turned out to be our favourite dish, the sweet dates making it almost like a dessert. The main course for the gentleman was Brown Rice with Tofu, concocted with organic brown rice topped with homemade tofu, cashew nuts, tomatoes and green tea spices that reminded us of Hakka thunder-tea rice. For the ladies, the dense Portobello Mushroom Burger came closest to a meat dish. Portions of both mains were substantial and deceptively filling. 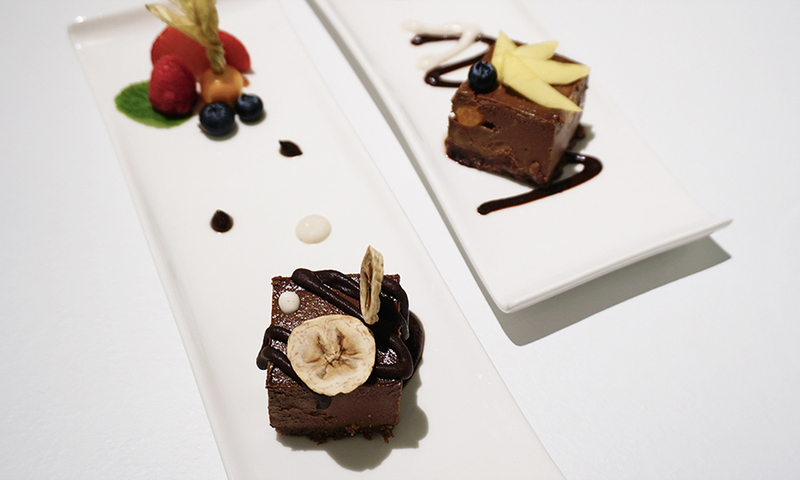 For a sweet ending — yes, you do get desserts — we were delighted with a Chocolate Banana Brownie with Pecan, and a Mango Chocolate Cake presented as a vegan mousse made with raw cacao powder and honey mango. If they are health food, we have no problem to indulge every day. Walk-in customers can opt for the 8-course Omakase (SGD108.80++). 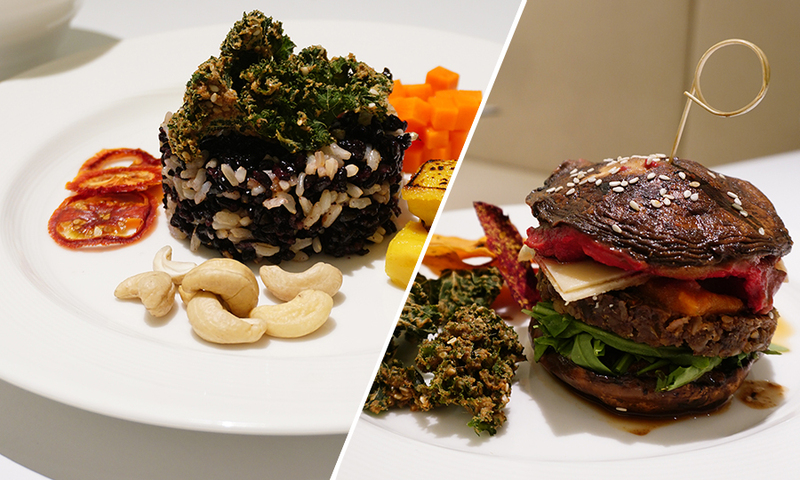 You may also sign up for a longer-term Nutritional Therapeutic Meal Trial Package priced at SGD888++ for 10 meals, paced at one meal per week. The package includes a pre and post assessment by Frunatic’s nutritionist. 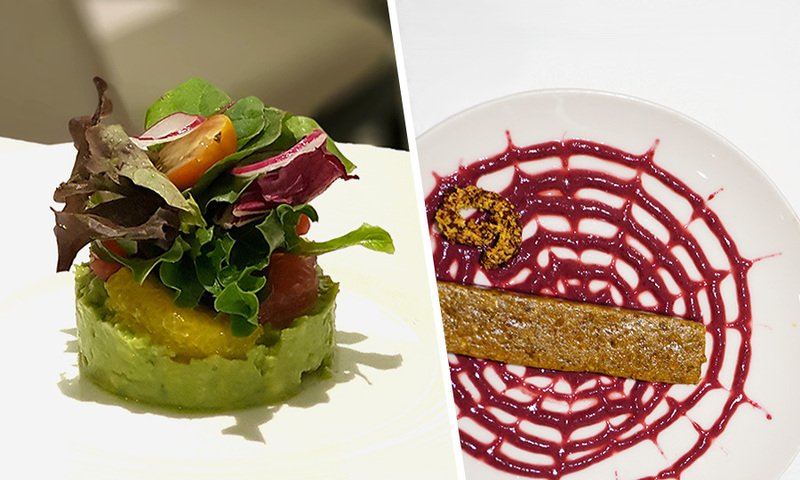 Overall, Frunatic’s concept of melding clean-eating and fine dining is laudable and timely, given that consumers are much more health conscious than ever. Don't come expecting normal restaurant food; the food is palatable from a wellness angle, leaving us feeling well-fed yet light despite a hearty meal. The prices of these meals are not easy to swallow — but then good health is priceless. For those seeking more casual bites and friendlier prices, Frunatic offers Wholesome Savour, a lovely cafe section located in the foyer fronting the restaurant.